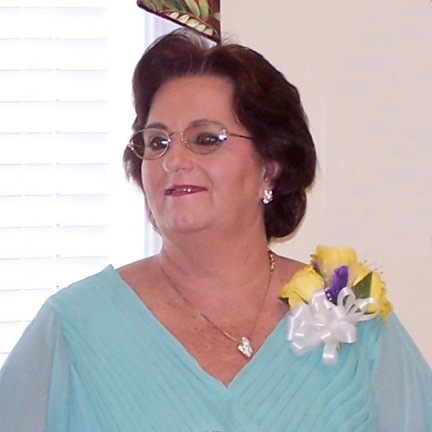 Donna L. Brock, 75, passed away on August 25, 2018 in North Augusta, South Carolina surrounded by her children and grandchildren. She was preceded in death by her Father and Mother, the late Reverend Silas and Mildred Mefford and her brother Dale Mefford. Born on 1 September 1942 in Winchester, KY, the family later moved to Stanford KY where her family pastored at the First Church Of God on Logan Avenue. It was there she met and married her husband, E.G. Brock on 19 June 1960 and were blessed to have celebrated 58 years of marriage this year. Donna owned and worked in the Mefford Tax service as a Tax Preparer and served the Central Kentucky region for over 45 years from a business built around customer satisfaction and “word of mouth”. She received a "Commendation of Faithful Community Service" from the Governor of Kentucky in 2016 upon her decision to retire. Additionally, Donna sang alto with her family group, The Singing Brock Family, having traveled and sang Southern Gospel music over the South East Region of the U.S. for over 25 years. Survivors include her husband: E.G. Brock of Stanford, KY; 3 Children: Rodney (Stephanie) Brock of Lancaster, KY, Rick (Doreen) Brock of Grovetown, GA, and Rhonda (Richard) Beane of Evans, GA; 3 Grandchildren: Brittany Beane, Evans GA, Justin (Shelby) Beane, Deering GA, and Elga Todd Brock, Lancaster, KY. Visitation will be Sunday, September 2, 2018 at Spurlin Funeral Home Chapel, Stanford from 5-9pm. Funeral service will be 11am Monday, September 3, 2018 at the funeral home. Burial will follow at Danville Memorial Gardens in Danville, KY.